Few months ago I got a phone call from Matthias telling me that he read an article about the Israel fashion week and I was quoted there and that he loved my point of view on the emerging community. He shared with me his new project on TLV featuring Israeli creators in different fields and asked me to curate the list for him. We decided together to focus on surprising stories and feature passionate people who are in an ongoing journey of growth and creation. The final 8 chosen people where so touching and inspiring. All are following their truth; all were so grounded and humble. I feel it shows what I love so much to do to bring fresh perspective of the human talents who work in our creative hub. The piece will be published in a German Magazine ‘What’s Next’ coming out in May in 8 languages. The prestigious issue will be printed version only and therefore since I won’t have an online link I am thrilling to share now some great moments from the behind the scene experince. Visiting Tamar Branitzky, a textile designer and textile artist. She established her colorful studio in Tel Aviv 8 year ago, creating printed scarves and fabrics for fashion and interior decoration, inspired by the local Israeli landscape and the beauty of Tel Aviv around her. VISITING narkis alon who creates nurturing environments that stimulate exponential growth of individuals and organizations. Shachaf Dekel is a video artist whose works deal with different layers of language, empathy, and the way they are transformed through human experience. I was so honored to get Matthias feedback on TripAdvisor after our wonderful days. he wrote: "sometimes life gets in an unstoppable flow. I had to cover creatives in TLV for magazine WHAT’S NEXT, powered by avant-garde hair-cosmetic brand Sebastian Professional. I knew TLV from several former visits but had no bigger access to creatives in the city. I booked Galit and at a sudden everything seemed to be easy. 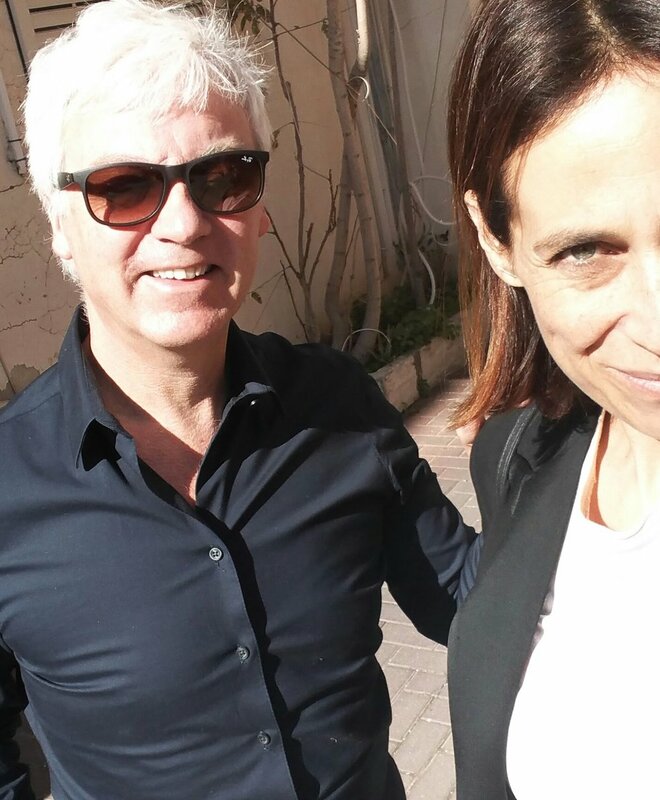 I don’t know if I kept Galit more busy or the opposite around J : together we realized a three day tour de force throughout the creative scene of TLV. Visited fashion and textile designers, video artist, entrepreneurs and chefs. The result; a wonderful, very personal production with inspiring interviews. Galit opened me the doors to the creatives and their studios and homes in TLV, the talents opened me throughout their warm eyes insights in their rich, inspiring inner life. I just got to love each of the them! I am so grateful for everything I was allowed to experience within the last days. Thank you Galit for making this unique experience possible and enriching my life!"